Yesterday, battle lines were drawn at Fort Qualls in Crawford, Texas. 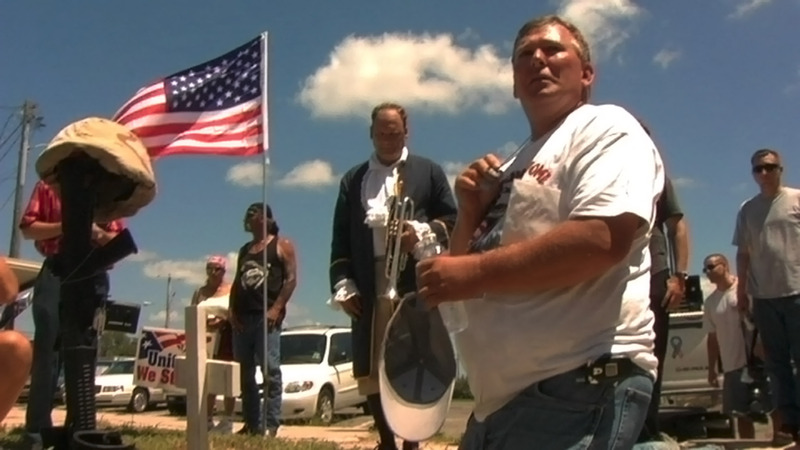 The Republican locals of Crawford, along with a posse of Christian bikers, declared War on the Left – they’re on the offensive and they mean business. Gary Qualls, father of an American solider killed in Iraq, is wrestling Cindy Sheehan, America’s Mom, as the newly installed America’s Dad. Qualls took back the cross of his son Louis from Camp Casey and re-positioned it as the first cross at Fort Qualls in the center of Crawford.